We may make changes to these Terms at any time. Any changes we make will be effective immediately when we post a revised version of these Terms on the Site. The “Last Updated” date above will tell you when these Terms were last revised. By continuing to use this Site after that date, you agree to the changes. While some of the events listed on the Site may appeal to children, the Site is not targeted at children under the age of 13, and they are not permitted to use the Site. We strongly encourage all parents and guardians to monitor the Internet use by their children. If you use the Site, you affirm you are at least 13 years old. You may browse the Site without registering for an account. 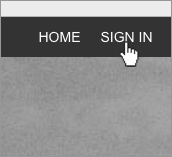 You will be required to register for an account to use certain features of the Site, such as purchasing a ticket. Your account username may not include the name of another person with the intent to impersonate that person, or be offensive, vulgar or obscene. Your account username and password are personal to you. You will be responsible for the confidentiality and use of your username and password, and for all activities (including purchases) that are conducted through your account. You may not transfer or sell access to your account. We will not be liable for any harm related to disclosure of your username or password or the use by anyone else of your username or password. You may not use another user’s account without that user’s permission. You will immediately notify us in writing if you discover any unauthorized use of your account or other account-related security breach. We may require you to change your username and/or password if we believe your account is no longer secure or if we receive a complaint that your username violates someone else’s rights. You will have no ownership in your account or your username. We may refuse registration, cancel an account or deny access to the Site for any reason. The Site and all data, text, designs, pages, print screens, images, artwork, photographs, audio and video clips, and HTML code, source code, or software that reside or are viewable or otherwise discoverable on the Site, and all tickets obtained from the Site, (collectively, the “Content”) are owned by us or our licensors. We own a copyright and, in many instances, patents and other intellectual property in the Site and Content. We may change the Content and features of the Site at any time. The registered and unregistered trademarks, logos and service marks displayed on the Site are owned by us or our licensors. You may not use our trademarks, logos and service marks in any way without our prior written permission. You may inquire about obtaining permission by contacting us at: trademarks@frontgatetickets.com . We may host fan reviews, message boards, blog feeds, social media feeds and other forums found on the Site (collectively, “Forums”), and you may be able to submit suggestions, reviews, concepts, audio and video recordings, photographs, artwork or other materials to the Forums or other areas of the Site (“User Content”). By submitting User Content, you certify that you are at least 18 years old, or you are at least 13 years old and have obtained your parent’s or legal guardian’s express consent to submit User Content. You will be responsible for your User Content and the consequences of posting it. By submitting User Content, you represent to us that (i) you own, or have the necessary permission to submit the User Content and to grant the licenses to us under this section, and (ii) you have the written permission of every identifiable person in the User Content to use that person’s name and likeness in the manner contemplated by the Site and these Terms or, if the person is a minor, the written permission of the minor’s parent or legal guardian. Under the Digital Millennium Copyright Act of 1998 (the “DMCA”) if you believe in good faith that any content on the Site infringes your copyright, you may send us a notice requesting that the content be removed. The notice must include: (a) your (or your agent’s) physical or electronic signature; (b) identification of the copyrighted work on our Site that is claimed to have been infringed (or a representative list if multiple copyrighted works are included in one notification); (c) identification of the content that is claimed to be infringing or the subject of infringing activity, including information reasonably sufficient to allow us to locate the content on the Site; (d) your name, address, telephone number and email address (if available); (e) a statement that you have a good faith belief that use of the content in the manner complained of is not authorized by you or your agent or the law; and (f) a statement that the information in the notification is accurate and, under penalty of perjury, that you or your agent is authorized to act on behalf of the copyright owner. If you believe in good faith that a notice of copyright infringement has been wrongly filed against you, you may send us a counter-notice. You may read more information about the DMCA at http://www.loc.gov/copyright . Notices and counter-notices should be sent to Copyright Officer, Front Gate Tickets, 9348 Civic Center Drive, Beverly Hills, CA 90210, copyrightofficer@frontgatetickets.com . There can be penalties for false claims under the DMCA. We suggest that you consult your legal advisor before filing a notice or counter-notice. We cannot prohibit minors from visiting our Site, and must rely on parents and guardians to decide what materials are appropriate for children to view and purchase. There are parental control protections (such as computer hardware, software or filtering services) available that may assist you in limiting access to material that is harmful to minors. You can find information about parental controls at http://onguardonline.gov . We do not endorse the products or services listed at this website. We act as the agent to those who provide events, such as venues, teams, artist representatives and fan clubs, promoters and leagues (“Event Providers”). Tickets obtained from unauthorized sources may be lost, stolen or counterfeit, and if so are void. We sell tickets on behalf of Event Providers, which means we do not set the ticket prices or determine seating locations. 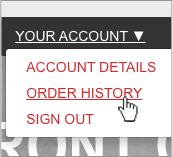 If you do not receive a confirmation number (in the form of a confirmation page or email) after submitting payment information, or if you experience an error message or service interruption after submitting payment information, it is your responsibility to confirm whether or not your order has been placed. Only you may be aware of any problems that may occur during the purchase process. We will not be responsible for losses (monetary or otherwise) if you assume that an order was not placed because you failed to receive confirmation. Tickets purchased on our Site are typically subject to a per ticket service fee and a non-refundable per order processing fee. In many cases, delivery prices will also be owed. You may be limited to a specified number of tickets for each event (also known as a “ticket limit”). This ticket limit is posted during the purchase process and is verified with every transaction. This policy is in effect to discourage unfair ticket buying practices. We reserve the right to cancel any or all orders and tickets without notice to you if you exceed the posted limits. This includes orders associated with the same name, e-mail address, billing address, credit card number or other information. 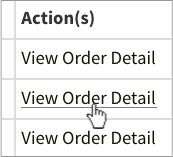 Orders are processed only after a billing address, and other billing information, has been verified. Occasionally, we receive incorrect billing or credit card account information for a ticket order that can delay processing and delivery. In these cases, we will attempt to contact you, using the information provided at the time of purchase. If we are unable to reach you after our initial attempt, we may cancel your order and may sell your tickets to another customer without further notice. Different combinations of delivery methods may be offered, depending on factors that include the venue or country where the event is to be held, the country in which you live, how much time is left before the event starts, whether it is a holiday season and the nature of the demand for the event. Please carefully review the list of delivery methods offered during the purchase process. For security purposes, we can only ship tickets to the billing address on file with the credit card company that is used for your purchase. Opening acts or guests may sometimes tour with headlining performers. We are not always made aware of opening acts or the length of their performances. Opening acts, as well as festival performers, are subject to change or cancellation at any time without notice. No refund will be owed if an opening act or festival performer is changed or canceled. Occasionally, concerts are canceled or postponed. Should this occur, we will attempt to contact you to inform you of refund or exchange procedures for that concert. For exact instructions on any canceled or postponed concert, please check the concert information online or contact us. If the event was moved or rescheduled, the Event Provider may set refund limitations. Please contact us for more information or to request a refund if you cannot attend the rescheduled event. Please make sure to include/provide your account number so we can expedite your refund if applicable. Before purchasing tickets, carefully review your event and seat selection. Policies set forth by Event Providers generally prohibit us from issuing exchanges or refunds after a ticket has been purchased or for lost, stolen, damaged or destroyed tickets. You agree that you will not attempt to evade, avoid, or circumvent any refund prohibitions in any manner with regard to tickets you purchased. Without limiting the generality of the foregoing, you will not contact us to seek a refund or exchange from us when we are prohibited from providing one by its clients, and you will not dispute or otherwise seek a “chargeback” from the company whose credit card you used to purchase tickets from the Site. Should you do so, your tickets may be canceled, and we may, in its sole discretion, refuse to honor pending and future ticket purchases made from all credit card accounts or online accounts on which such chargebacks have been made, and may prohibit all persons in whose name the credit card accounts exist and any person who accesses any associated online account or credit card or who otherwise breaches this provision from using the Site. If we issue you a refund for a ticket due to a canceled or postponed event, we will issue a refund of the ticket’s face value paid (or, for a discounted ticket, then instead the discounted ticket price paid) and all service fees. In no event will delivery charges or any other amounts be refunded. If a refund is issued, it will be issued using the same method of payment that was used to purchase the tickets. We will not be liable for travel or any other expenses that you or anyone else incurs in connection with a canceled or postponed event. If the amount you pay for a ticket is incorrect regardless of whether because of an error in a price posted on this Site or otherwise communicated to you, or you are able to order a ticket before its scheduled on-sale or presale date or you are able to order a ticket that was not supposed to have been released for sale, then we will have the right to cancel that ticket (or the order for that ticket) and refund to you the amount that you paid. This will apply regardless of whether because of human error or a transactional malfunction. Event Providers reserve the right, without refund of any amount paid, to refuse admission to, or eject, any person whose conduct management deems disorderly, who uses vulgar or abusive language or who fails to comply with Event Provider rules. Breach of terms or rules will terminate your license to attend the event without refund. A ticket is a revocable license and admission may be refused upon refunding the ticket’s face amount. A ticket is not redeemable for cash. You agree that the event for which you purchase tickets is a public event, that your appearance and actions inside and outside the venue where the event occurs are public in nature, and that you have no expectation of privacy with regard to your actions or conduct at the event. You grant permission to us and the Event Provider(s) to utilize your name, image, likeness, acts, poses, plays, appearance, movements, and statements in any live or recorded audio, video, or photographic display or other transmission, exhibition, publication or reproduction made of, or at, the event (regardless of whether before, during or after play or performance) for any purpose, in any manner, in any medium or context now known or hereafter developed, without further authorization from, or compensation to, you or anyone acting on your behalf. Unlawful resale (or attempted resale), counterfeit or copy of tickets is grounds for seizure and cancellation without compensation. Certain maximum resale premiums and restrictions may apply in some states and we cannot be responsible for providing legal advice regarding resale or pricing of tickets. 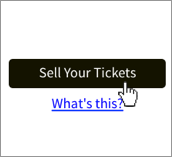 You are responsible for complying with all applicable ticket resale laws. In addition, we reserve the right to restrict or deny ticket purchasing privileges to anyone that we determine to be, or has been, in violation of our policies. Because we do not guarantee the authenticity of tickets purchased from any non-authorized third party reseller (such as brokers or individuals), we recommend that you purchase tickets directly through us, authorized partners or from the venue box office to ensure ticket authenticity. Tickets may not be used for advertising, promotions, contests or sweepstakes, unless formal written authorization is given by us. In addition to these Terms, sweepstakes, contests, games or other promotions (collectively, “Promotions”) made available through the Site may have specific rules that are different from these Terms. By participating in a Promotion, you will become subject to those rules. We urge you to review the rules before you participate in a Promotion. Promotion rules will control over any conflict with these Terms. WE PROVIDE THE SITE AND THE CONTENT TO YOU “AS IS” AND “AS AVAILABLE”. WE TRY TO KEEP THE SITE UP, BUG-FREE AND SAFE, BUT YOU USE IT AT YOUR OWN RISK. TO THE FULLEST EXTENT PERMISSIBLE BY LAW, AND TO THE EXTENT THAT APPLICABLE LAW PERMITS THE DISCLAIMER OF EXPRESS OR IMPLIED WARRANTIES, WE DISCLAIM ALL WARRANTIES, EXPRESS OR IMPLIED, INCLUDING ANY WARRANTY OF TITLE, NON-INFRINGEMENT, ACCURACY, MERCHANTABILITY, FITNESS FOR A PARTICULAR PURPOSE, OR WARRANTIES THAT MAY ARISE FROM COURSE OF DEALING OR COURSE OF PERFORMANCE OR USAGE OF TRADE. WE DO NOT GUARANTEE THAT THE SITE WILL ALWAYS BE SAFE, SECURE OR ERROR-FREE OR THAT THE SITE WILL ALWAYS FUNCTION WITHOUT DISRUPTIONS, DELAYS OR IMPERFECTIONS. WE ARE NOT RESPONSIBLE FOR THE ACTIONS OR INFORMATION OF THIRD PARTIES, AND YOU RELEASE US FROM ANY CLAIMS AND DAMAGES, KNOWN AND UNKNOWN, ARISING OUT OF OR IN ANY WAY CONNECTED WITH ANY CLAIM YOU HAVE AGAINST ANY SUCH THIRD PARTIES. IF YOU ARE A CALIFORNIA RESIDENT, YOU WAIVE CALIFORNIA CIVIL CODE §1542, WHICH SAYS: A GENERAL RELEASE DOES NOT EXTEND TO CLAIMS WHICH THE CREDITOR DOES NOT KNOW OR SUSPECT TO EXIST IN HIS OR HER FAVOR AT THE TIME OF EXECUTING THE RELEASE, WHICH IF KNOWN BY HIM OR HER MUST HAVE MATERIALLY AFFECTED HIS SETTLEMENT WITH THE DEBTOR. IN NO EVENT WILL WE OR OUR EVENT PROVIDERS, SUPPLIERS, ADVERTISERS AND SPONSORS, BE RESPONSIBLE OR LIABLE TO YOU OR ANYONE ELSE FOR, AND YOU HEREBY KNOWINGLY AND EXPRESSLY WAIVE ALL RIGHTS TO SEEK, DIRECT, INDIRECT, INCIDENTAL, SPECIAL OR CONSEQUENTIAL DAMAGES OF ANY TYPE OTHER THAN OUT OF POCKET EXPENSES, AND ANY RIGHTS TO HAVE DAMAGES MULTIPLIED OR OTHERWISE INCREASED, ARISING OUT OF OR IN CONNECTION WITH THE SITE, THE CONTENT, OR ANY PRODUCT OR SERVICE PURCHASED THROUGH THE SITE, EVEN IF WE HAVE BEEN ADVISED OF THE POSSIBILITY OF SUCH DAMAGES, AND REGARDLESS OF WHETHER THE CLAIM IS BASED UPON ANY CONTRACT, TORT, OR OTHER LEGAL OR EQUITABLE THEORY. WITHOUT LIMITING THE FOREGOING, YOU EXPRESSLY ACKNOWLEDGE AND AGREE THAT WE WILL HAVE NO LIABILITY OR RESPONSIBILITY WHATSOEVER FOR (a) ANY FAILURE OF ANOTHER USER OF THE SITE TO CONFORM TO THE CODES OF CONDUCT, (b) PERSONAL INJURY OR PROPERTY DAMAGE, OF ANY NATURE WHATSOEVER, WHETHER ARISING IN CONTRACT OR IN TORT, RESULTING FROM YOUR ACCESS TO AND USE OF OUR SITE, (c) ANY UNAUTHORIZED ACCESS TO OR USE OF OUR SECURE SERVERS AND/OR ANY AND ALL PERSONAL INFORMATION AND/OR FINANCIAL INFORMATION STORED THEREIN, (d) ANY BUGS, VIRUSES, WORMS, TROJAN HORSES, DEFECTS, DATE BOMBS, TIME BOMBS OR OTHER ITEMS OF A DESTRUCTIVE NATURE WHICH MAY BE TRANSMITTED TO OR THROUGH OUR SITE, (e) ANY ERRORS, MISTAKES, INACCURACIES OR OMISSIONS IN ANY CONTENT, OR (f) ANY LOST, STOLEN OR DAMAGED TICKETS, OR THE FAILURE OF A VENUE TO HONOR A TICKET. YOUR SOLE AND EXCLUSIVE REMEDY FOR DISSATISFACTION WITH THE SITE IS TO STOP USING THE SITE. THE LIMITATIONS IN THIS SECTION WILL APPLY EVEN IF ANY LIMITED REMEDY FAILS OF ITS ESSENTIAL PURPOSE. THE ALLOCATION OF RISK BETWEEN US IS AN ESSENTIAL ELEMENT OF THE BASIS OF THE BARGAIN BETWEEN US. OUR AGGREGATE LIABILITY ARISING OUT OF THESE TERMS OR THE USE OF THE SITE WILL NOT EXCEED THE GREATER OF ONE HUNDRED DOLLARS ($100) OR THE AMOUNT YOU HAVE PAID US IN THE PAST TWELVE MONTHS. IN NO EVENT WILL ATTORNEYS’ FEES BE AWARDED OR RECOVERABLE. OUR LIABILITY WILL BE LIMITED UNDER THIS PARAGRAPH TO THE FULLEST EXTENT PERMITTED BY APPLICABLE LAW, AND THE PROVISIONS OF THIS PARAGRAPH WILL NOT APPLY TO THE EXTENT APPLICABLE LAW PERMITS THE RECOVERY OF DAMAGES, ATTORNEYS’ FEES OR COSTS OTHERWISE PROHIBITED UNDER THIS PARAGRAPH. THE PROVISIONS OF THIS PARAGRAPH THAT (A) PROHIBIT DAMAGES TO BE MULTIPLIED OR OTHERWISE INCREASED, (B) IMPOSE A DAMAGES LIMITATION OF THE GREATER OF ONE HUNDRED DOLLARS ($100) OR THE AMOUNT YOU HAVE PAID US IN THE PAST TWELVE MONTHS, AND (C) PROHIBIT THE RECOVERY OF ATTORNEYS’ FEES AND COSTS, DO NOT APPLY IN CERTAIN STATES, INCLUDING WITHOUT LIMITATION NEW JERSEY, TO CLAIMS BROUGHT UNDER STATUTES PERMITTING SUCH RECOVERY. We are not responsible for providing transportation or reimbursement of travel-related expenses under any circumstances unless those items are specifically included as part of a package. We are not responsible for any delay causing you to arrive late or miss your event for any reason. If our actions result in you missing your event, we will not be liable for more than your total purchase price. We are not responsible for the conditions or the actions of the crowd at any event or for any changes made at the venue including without limitation seating arrangements, stage set-up or venue conditions. To begin an arbitration proceeding, you must send a letter requesting arbitration and describing your claim to: Front Gate Tickets, 9348 Civic Center Drive, Beverly Hills, CA 90210, Attn: Legal. You may download the forms located at http://www.jamsadr.com . The arbitration will be conducted by JAMS under its Streamlined Arbitration Rules and Procedures or, if applicable, its Comprehensive Arbitration Rules and Procedures, and any applicable supplemental rules including its Consumer Arbitration Standards of Minimum Fairness. The JAMS Rules are available online at http://www.jamsadr.com or by calling (800) 352-5267. Payment of all filing, administration and arbitrator fees will be governed by JAMS’s rules. We will reimburse those fees for claims totaling less than $10,000 unless the arbitrator determines the claims are frivolous, but in no event will we pay for attorneys’ fees. You may choose to have the arbitration conducted by telephone, based on written submissions, or in person in the county where you live or at another mutually agreed location. We each agree that the arbitrator may not consolidate more than one person’s claims, and may not otherwise preside over any form of a representative or class proceeding, and that any dispute resolution proceedings will be conducted only on an individual basis and not in a class, consolidated or representative action. You agree to waive any right to a jury trial or to participate in a class action. If this specific provision is found to be unenforceable, then the entirety of this arbitration section will be null and void and neither of us will be entitled to arbitrate our dispute. You agree that these Terms evidence a transaction involving interstate commerce and will be governed by and construed in accordance with federal law to the fullest extent possible. However, if your dispute is regarding the re-sale of a ticket for any event located in Illinois, then these Terms will be governed and construed in accordance with the laws of Illinois, without regard to conflict or choice of law rules, and you consent to personal jurisdiction, and agree to bring all actions, exclusively in Chicago, Illinois. If you have an inquiry regarding a ticket re-sale transaction for any event located in Illinois, please contact us at 550 W. Van Buren Street, 13th Floor, Chicago, Illinois 60607 or (877) 446-9450.